Haswell processors have helped set the bar high for new ultrabooks. We've seen some impressive examples from Sony (Vaio Pro 11 and 13), Apple (MBA 2013) and Toshiba (Kirabook) in the past months. While we don't necessarily expect Dell to offer up a product to compete with these premium devices, it is past time the American company fleshed out its own ultrabook line. The Dell Latitude E7440 features a 14-inch 1366 x 768 display, a Core i3 4010U processor, 4 GB of RAM, a 320 GB hard drive (with no SSD option), 3 USB 3.0 ports, 802.11b/g/n wifi, an Ethernet port, and optional wireless HSPA+ and LTE mobile data support. 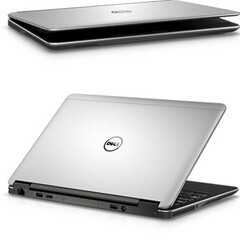 The Latitude E7240 offers many of the same specs with a 12.5-inch 1366 x 768 display and a 128 GB SSD. The ultrabooks also have the usual list of upgrades including multi-format card readers and fingerprint scanners, as well as a docking station for the 12.5 model. Buyers are also offered the dubious option of having the free Firefox browser pre-installed for a fee of US$14. At first glance these look like reasonable (if not stand out) devices, but Dell seems to be making some strange decisions with the pricing: The 12.5-inch model is listed at a staggering US$1670 starting price, and US$1498 for the 14-inch model. Granted they are on “sale” for US$1169 and US$1049, but even those prices aren't all that appealing when you consider the i3 processor and the non-sale prices of the competition.